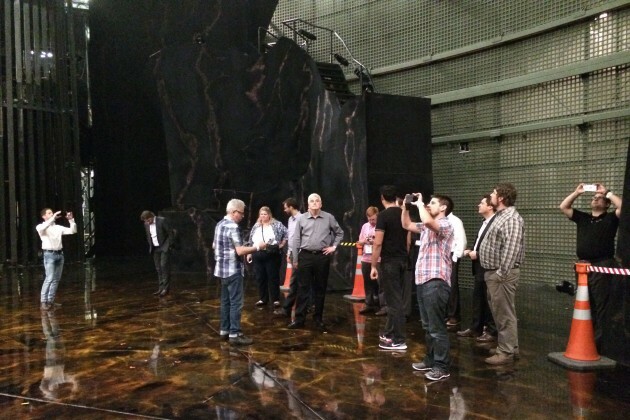 ABOVE: Guests of Sennheiser are taken on an ‘insider’s tour’ of the set for Cirque de Soleil’s La Nouba. 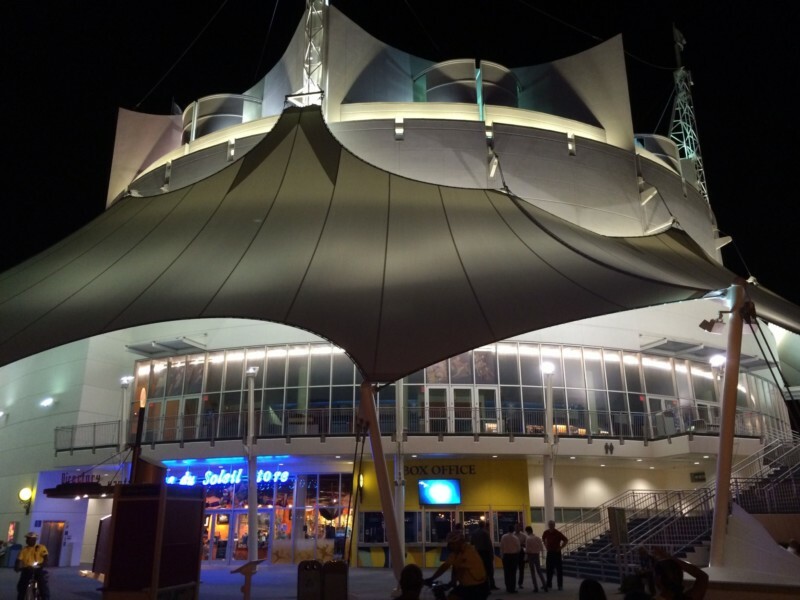 Orlando, FL, USA (June 25, 2015) – Audio specialist Sennheiser debuted its new MobileConnect streaming solution in the United States at a recent performance of Cirque de Soleil’s spectacle production La Nouba, held in Downtown Disney during InfoComm 2015. During the event, 50 top A/V consultants were hosted by Sennheiser for an exclusive social gathering, followed by a demonstration of MobileConnect in the ultimate performance environment: a Cirque de Soleil stage. Cirque de Soleil’s La Nouba production was among the first in the U.S. to test Sennheiser’s MobileConnect technology. The event was held against the backdrop of a record-breaking InfoComm exhibition that ‘WOW’ed over 39,000 attendees and A/V decision makers, representing 108 different countries around the world. La Nouba, which is performed ten times a week in a custom-built theater that seats 1,650 patrons, has been running since 1998. 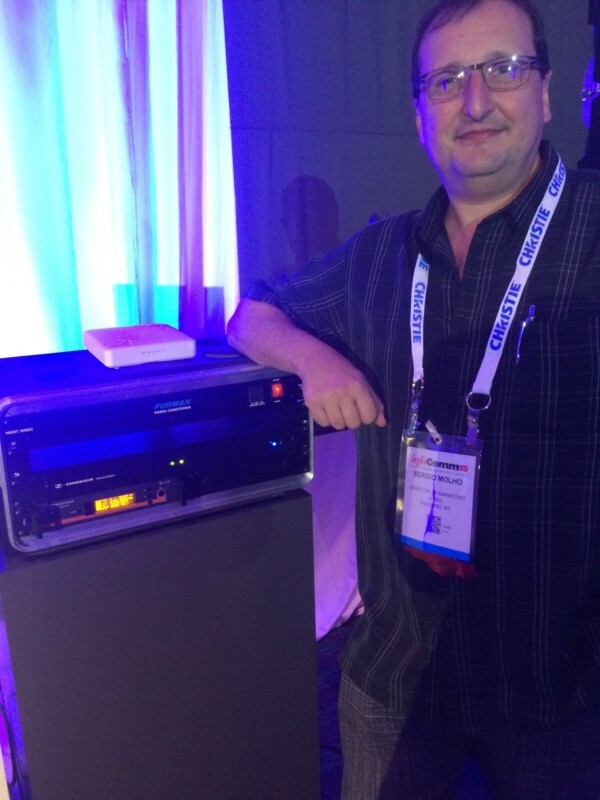 During the performance on April 17th, which coincided with InfoComm 2015, Sennheiser guests were invited to experience its new MobileConnect streaming solution first-hand. MobileConnect is an innovative technology designed to provide unprecedented capabilities and features to the hearing and visually impaired. 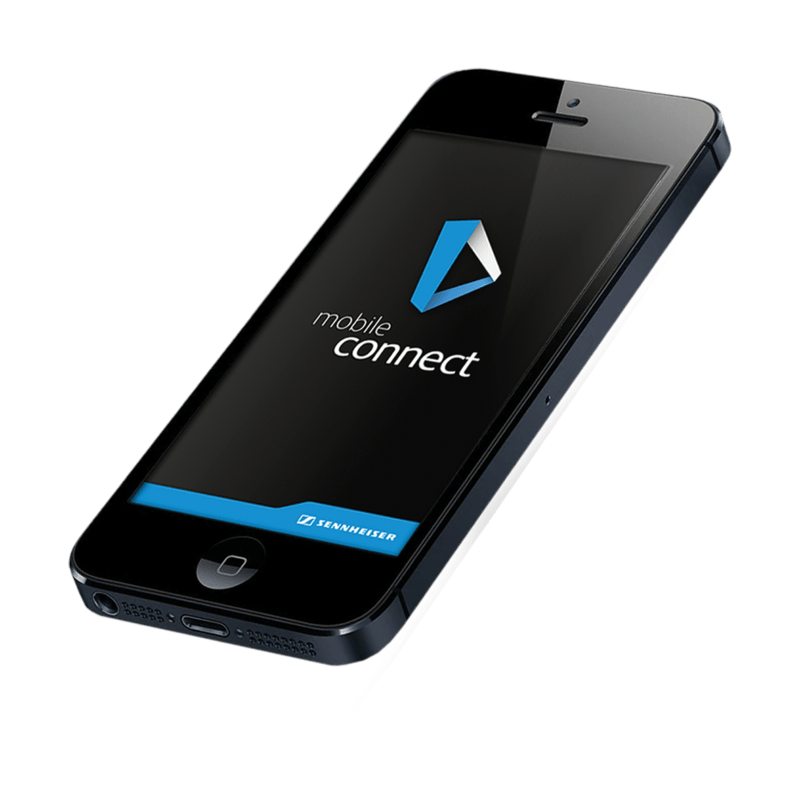 Sennheiser’s MobileConnect application is a free download for users. “Additionally, Cirque de Soleil’s team immediately spotted potential interruptable foldback (IFB) applications and was eager to test MobileConnect’s capabilities backstage, in the green room and other production areas,” Frederick said. Sennheiser guests were treated to dinner at House of Blues before being provided with a pair of headphones and instructions on how to download and use the MobileConnect: which took all of 2 minutes. “MobileConnect requires next to no training to use — it is a very simple solution that is easy to operate and understand,” Girard explains. WSDG’s Sergio Molho, Partner and Director of International Relations for Highland, NY-based Walters-Storyk Design Group, was among those in attendance at the Sennheiser event. During the La Nouba production, Sennheiser worked with Cirque de Soleil’s production crew and FOH sound technicians to create two separate channels on the MobileConnect application: one capturing all of the stage microphones, the other capturing the stage microphones plus the production intercomm. The 50 attending Sennheiser guests were able to effortlessly toggle between both channels and listen to ‘behind the scenes’ production calls.